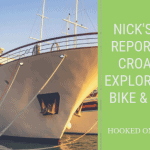 Take a cycling holiday in Montenegro and experience a different culture and history. Here you can escape everyday life as you delight in the idyllic peace as you discover the stunning views as the sea meets mountain landscapes. Of course there is also Kotor a UNESCO World Heritage site and a must to explore. You can experience on this bike vacation the beauty of the National Parks, amazing flora and fauna providing differing colours throughout the season. Then there is the wildlife, maybe lizards sunbathing, wild boar and jackals looking for food and maybe if you are lucky a soaring eagle. Cycling vacation where you will discover some particularly picturesque towns as well as the fantastic coast of Montenegro.